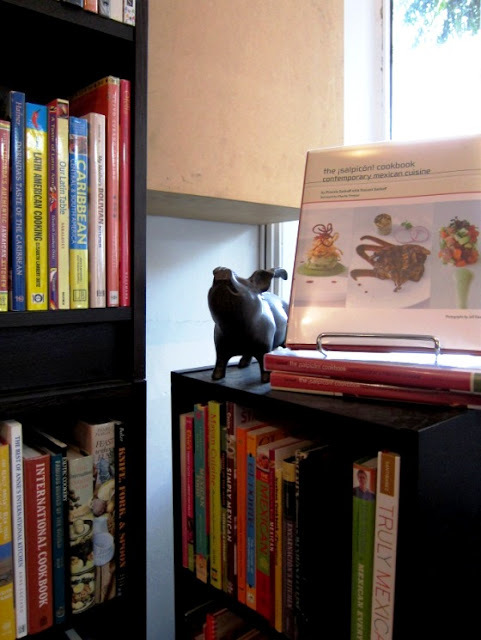 Cheery foodie decor at Books for Cooks on Gertrude St, Fitzroy. 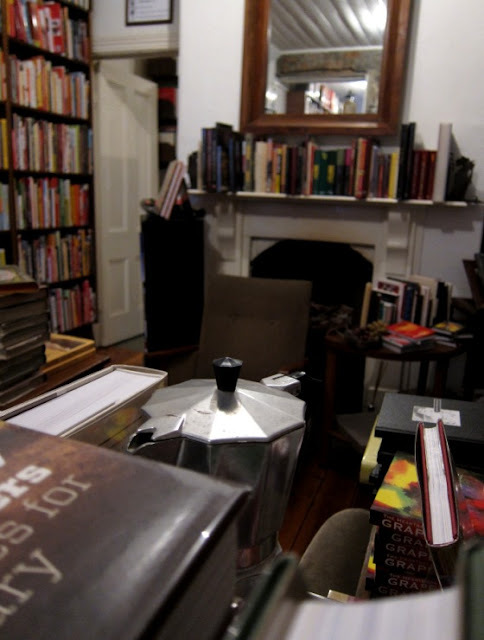 Books for Cooks - a down-to-earth and warmly inviting space. I adored the place immediately: on a cold winter's day, it embraced me like a warm hug, with its wooden floorboards, well-worn couches, and, of course, the books. The floor-to-ceiling shelves of books. Books on regional cuisine. Books on baking. 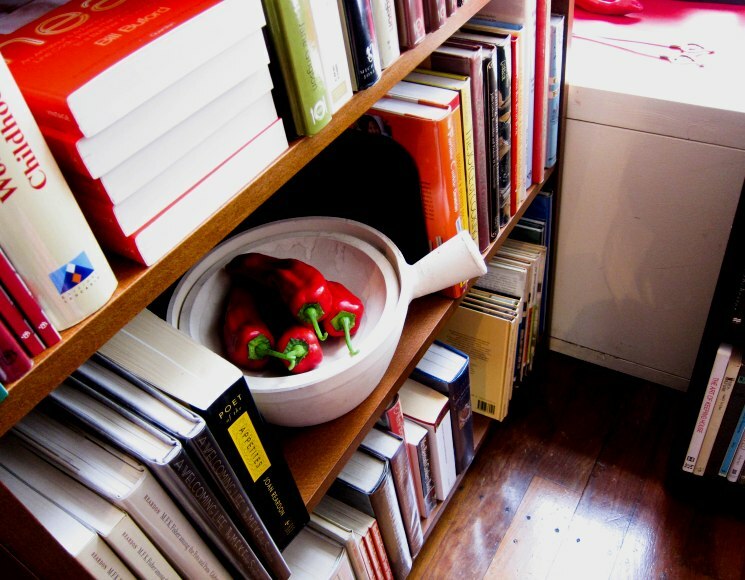 Books on the art and science of cooking. Books on restaurants. Books on wine. Books, books, books... books full of words, pictures and recipes... all stuffed together in one cosy bookshop and jostling to delight a food-loving girl like me. I loved perusing the cookbooks in the South American section. Cookbooks section in a bookstore feels like the most sweetest candy section in a candy store. I can stay there for ages and still come back the next day. Cool shop! chopinandmysaucepan - that is an awesome idea!! Now *this* is the kind of place that I desperately hope doesn't get crushed by the Book Depository boom!! Michelle - I have maybe a handful, but would be happy to accumulate more if the price is right! Hannah, I agree! I love Book Depository but I also plan to support Books for Cooks with a purchase every now and then. No fair! I want to be able to visit that store!!!!!!! That bookstore sounds like an absolute dream! Whenever I go to any bookstore, the cookbook section is always where I head first. A whole store solely devoted to food-y business is just too cool. Love this place and will be here more often considering Borders have all shut down! damn, I wanna sit all day in that shop! I will be the first to go there when one like this open in the place I live. I have always loved book stores, I love how cosy and welcoming this looks! I was in Melbourne visiting friends a few months ago and passed by this shop, but didn't get to go in. It was pouring rain that day and I still regret that I didn't drag my soggy self into the store. It sounds like a cooks dream!